It really is a staggering achievement. It’s the best game I’ve played since BOTW and I have played some ridiculously good games in that time. I don’t think I’ve ever felt a part of world as palpably as I do in this. Honestly feels like I could just be here for hundreds of hours. Just started Chapter 4, the mission design is still middling to poor, just did the one in St Denis at the graveyard which results in you saving Jack, which frankly was just dull and a bit of a pain to navigate in the maze like setting with Rockstars clunky movement. However everything around it, the music the cutscenes then just the natural merrymaking and story telling in camp afterwards is brilliant. I haven't read your spoiler as I'm still in chapter 3 but I agree that the mission design is one of the worst things about the game. 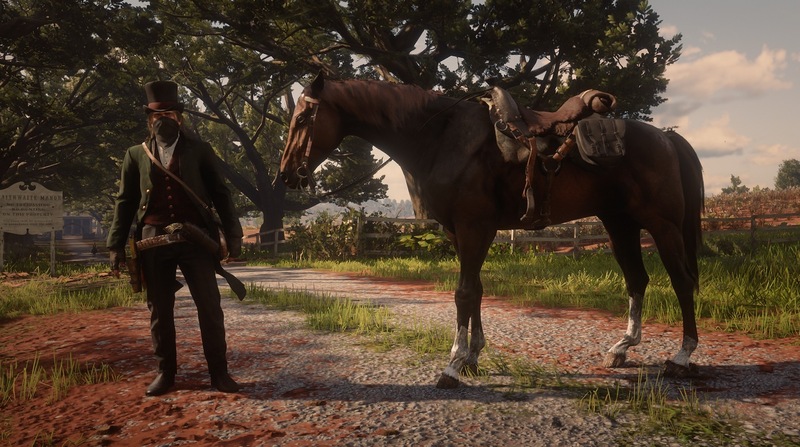 It's very restrictive, I failed a 'mission' yesterday where I was going fishing with Javier because I went slightly off the track to chase a three-star rabbit and apparently abandoned Javier. This of course meant I had to do the slow trot to the fishing site again and go through all the dialogue. It's a bit frustrating because as you say the world-building is fantastic and the production values on almost everything are through the roof. I'm really enjoying it but a bit more invention in the design of the missions would have gone a long way. I met one of those competitive marksmen but lost to him, walked away a couple of steps before realising I was meant to physically pay him his winnings. He freaks out calling me a cheat and starts shooting, and I'm so close to him that when I go to shoot him the game does a close quarters animation that results in me shotgunning his head clean off. Needless to say it was a bit weird for him to turn up a couple of hours later asking to put that behind us and for us to "not lose our heads again." And when you load the dead body onto the back of your horse and ride around you can still see the stab wounds on the corpse. Cuttooth wrote: I met one of those competitive marksmen but lost to him, walked away a couple of steps before realising I was meant to physically pay him his winnings. He freaks out calling me a cheat and starts shooting, and I'm so close to him that when I go to shoot him the game does a close quarters animation that results in me shotgunning his head clean off. Came across 'the clan' for the first time. I am still in Chapter Two and it's fantastic. I've caught the legendary Longnose Gar which was 42lbs! It took me a while to reel it in and it might take about five-ten minutes until Arthur could get his hands on it. 4 strawberry floating hours trying to get one perfect type of bird, drove me crazy! I was out for days that my hair and beard grew and on my way back Charles came and got me and took me back to camp. He said they were worried about me, I didn’t even know that happened. Also I seen an eagle fly down and take a dead carcass of one of the other birds I killed. 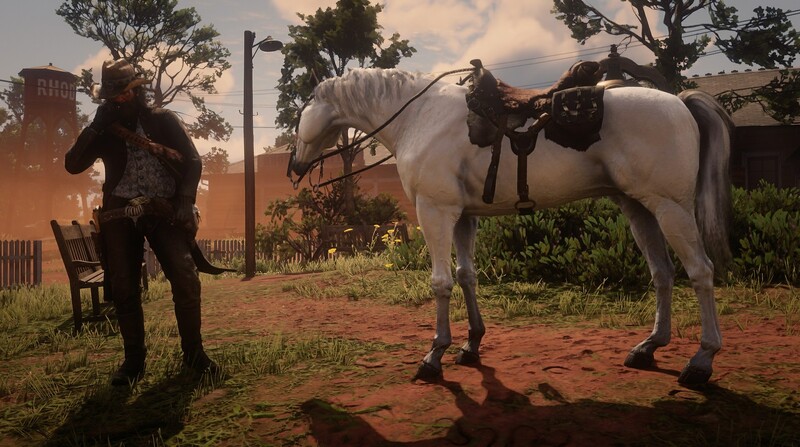 GrinWithoutaKat wrote: There's a spot in Saint Denis that spawns two random horses every time you load, and as far as people can tell, every combination of breed and colour can appear there apart from one that is a reward for completing a Stranger quest series. 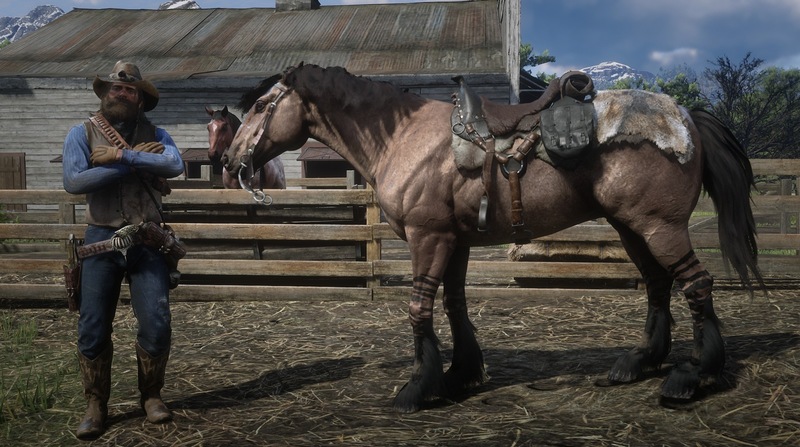 You can even get horses that don't get unlocked in stables until very late in the story. It's on a road in/out of the city. 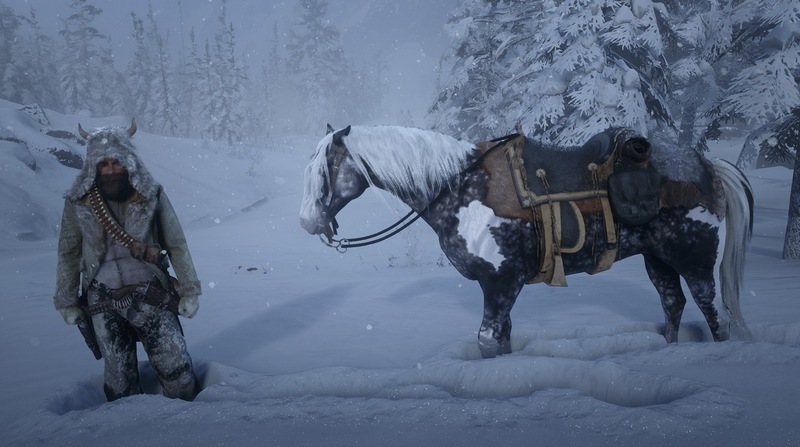 Save your game there during the day time (and weirdly, works best if it's a clear day), and then keep exiting the game (from the story menu) and reloading, and it will change the horses in the stable. You can't just load up, has to be exit, then load. The last mission reminds me of Bone Tomahawk, the film. Person #1 looks to lead a very solitary and sad life, I'll be sure to say hi to him (and hogtie him and drown him in the river) next time I see him. I know it's probably just the music in the video (which is from the excellent Western The Assassination of Jesse James By the Coward Robert Ford), but does anyone else find the whole atmosphere of the game really melancholic? I bet life back then was so brutally tough and unforgiving, you're either a wolf or a sheep. Preezy wrote: I know it's probably just the music in the video (which is from the excellent Western The Assassination of Jesse James By the Coward Robert Ford), but does anyone else find the whole atmosphere of the game really melancholic? I've thought that and it seems very intentional, what with the theme of the game so far seemingly being the death of the Old West and it touching on industrialisation here and there. There's one particular ambient track that plays when you're just riding about that evokes the feeling pretty heavily. Speaking of The Assassination of Jesse James, which I watched for the first time last week and thought was brilliant, the (chapter 2 spoiler) train robbery mission with John is straight up pulled from the opening of that film. I've put about 30 hours into the game and I'm only just about to finish chapter 2, I think. Been away for work and missed release. Haven't really read anything and want to go in bind, but roughly how long does it take for the world to open up? I'd like want to leave the initial camp and explore a bit. SMPL wrote: Been away for work and missed release. Haven't really read anything and want to go in bind, but roughly how long does it take for the world to open up? I'd like want to leave the initial camp and explore a bit. Took me no more than 2 hours to complete chapter 1, after which the game opens up. 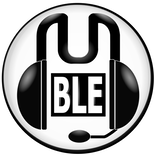 Chapter 6 and the epliogue. I've spent 6 hours on Chapter 6 and it still ain't over yet. Mainly because I get distracted by those legendary fish locations. You can go exploring in Chapter 2 off the bat. I’m pretty disappointed by the interactivity on offer in the settlements in this. Gun shop, saloon, hotel, stables, general store etc. They have a distinctive look to discover, but when you realise it’s just the same few shops you’re coming across over and over again the satisfaction in exploring is heavily diminished. When playing BOTW I’d come across a settlement and spend hours there the first time, hearing the people’s stories, visiting their houses and shops, finding out about the culture. My last hour in the game I came across 3 new settlements and just rode straight through all of them as there’s nought to do. Some punk pick pocketed me as I entered a shop yesterday! Chased them down and got my money back (and a some extra as well)! Thought it was a cool touch though. Also hunted the legendary fox and wolf yesterday, bit disappointed that the wolf saw me before I could kill it, but I'm pretty sure that is because someone else was in the area on horseback. Really enjoying the game so far, at the start of chapter 3 but not focusing on the story missions too much.